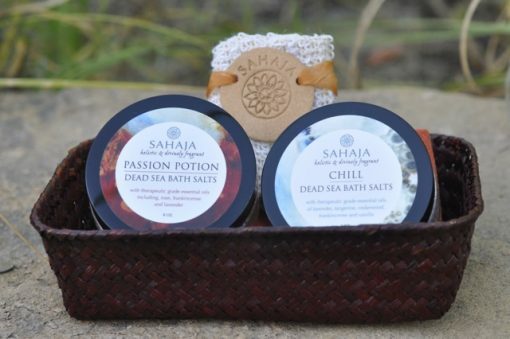 Mahogany bamboo basket loaded with premium SAHAJA Bath Salts and SAHAJA Salt and Sugar Scrubs, sisal washcloth with artisan ceramic scoop and Bamboo/cotton washcloth. 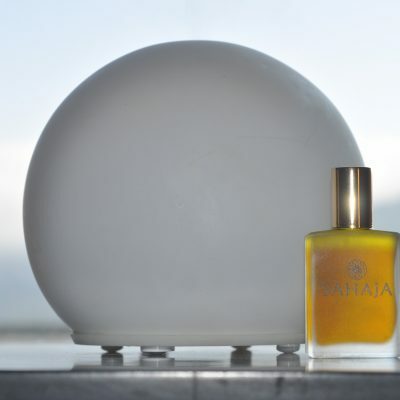 A lusciously fragrant and beautiful gift. 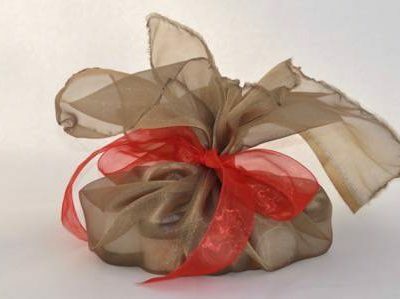 Small Gift Basket contains two 8 oz. tubs of SAHAJA Dead Sea Bath Salts, a sisal washcloth and Bamboo/cotton washcloth. Large Gift Basket contains two 8 oz. 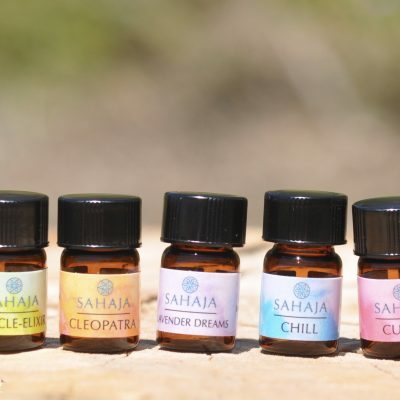 tubs of Premium SAHAJA Salt and Sugar Scrubs for Face and Body, three 4oz. 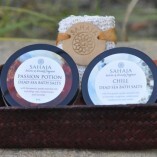 tubs of SAHAJA Dead Sea Bath Salts, sisal washcloth and Bamboo/Cotton washcloth.